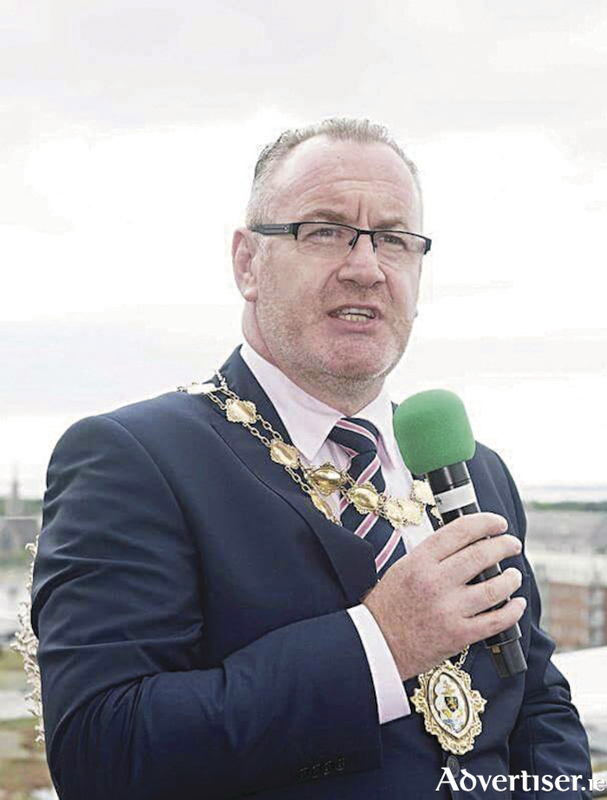 Several Galway charities are set to benefit from Mayor Pearce Flannery’ Charity Mayors Ball tomorrow night Friday May 11 next in the Galway Bay Hotel, Salthill. Tickets vare still available for the black tie charity event which is raising much needed funds for local charities and is regarded by most as the highlight of the social calendar. It promises to be a special evening with Mayor of Boston, Marty Walshe in attendance after receiving the award of the Freedom of Galway City earlier tomorrow along with a host of celebrity musicians and many political personalities. The event commences with a drinks reception at 7.00pm followed by dinner at 8pm and dancing and music by Full Circle and a host of special musical guests late into the night. There will be an auction on the evening and a host of spot-prizes to the draw. This year Mayor Pearce Flannery is raising funds for four charities — Cancer Care West, Rosabels Rooms, Childline and Cardiac First Responders. Speaking to the Advertiser, Mayor Pearce Flannery said it is wonderful to be in a position to organize an event that will have such a positive impact on worth charities. “All profits will go directly to the charities involved and will be used in our local areas. It would be great to see a full house as the more people attending the greater the charitable impact. “I would welcome any spot-prizes or auction items also as these will be of great benefit to this worthwhile fundraiser. Maybe along the way we will all get to have a little fun as well,” he said. Tickets for the Mayor of Galway’s Charity Ball cost €100 each and are on sale or can be reserved at the Galway Bay Hotel on 00 353 91 514644 or at The Treasure Chest, Shop Street Galway on 00 353 91 563862. Page generated in 0.1922 seconds.